PH5/1 Fixed CMM Probe Head - CMM Inc. Similar to PH5, PH5/1 is a five-way fixed head. 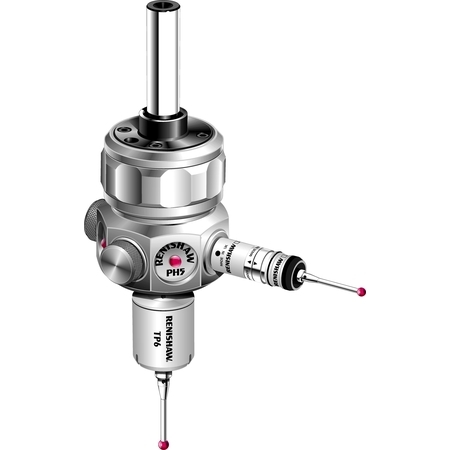 It has a "B" axis indexing, overtravel adjustment and can accommodate up to five probes at the same time.